The big sold-out Saturday has arrived, so it isn’t going to be as easy as it was yesterday to get around the festival grounds. So we were surprised when we arrived 10 minutes early to Esne Beltza’s early afternoon White Stage show to find it almost empty. Is The Birthday that popular? 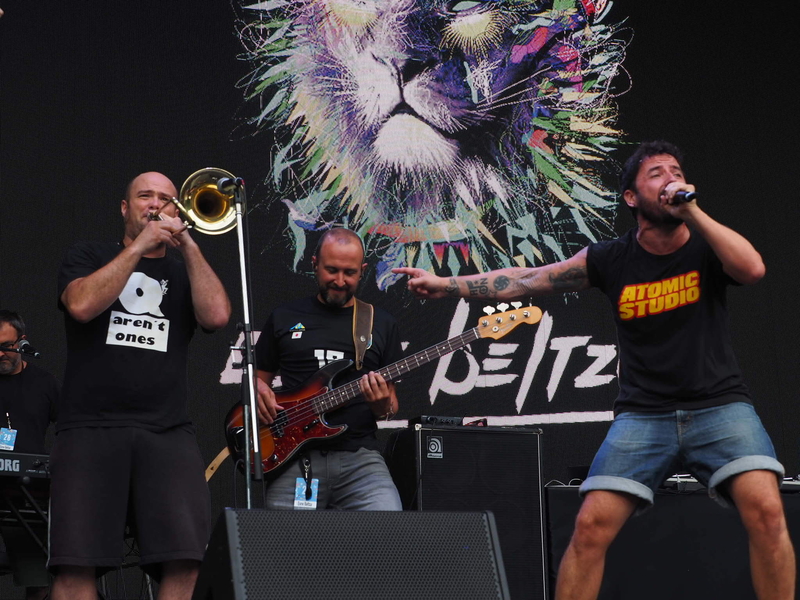 In truth, Esne Beltza, the backup band (or most of it) for the great Basque activist ska punk singer Fermin Muguruza, is the kind of act that attracts its own crowd after the fact. As soon as they took the stage and tore into one of their patented supersonic ska songs, everyone passing through to other destinations stopped and joined the ever-widening mosh pit that immediately formed and kept depositing punters on the other side of the security fence. That fence didn’t stop the various members of the band from interacting directly with the audience. In fact, half the members seemed to have spent half the show in the mosh pit…or cruising the fence to shake hands with grateful fans. Given the time of day and the normal enthusiasm level of people who’ve just arrived, it was easy for the band to get them to chant Basque phrases (which could have said “screw Abe” as far as they knew) in unison and crouch down and then jump up during a break beat, something they did quite a few times. By the end of the 50-minute set the whole field was crammed with sweaty, dancing people. And according to a friend back home, the number of viewers on YouTube was 15,000, as opposed to 40,000 for The Birthday. 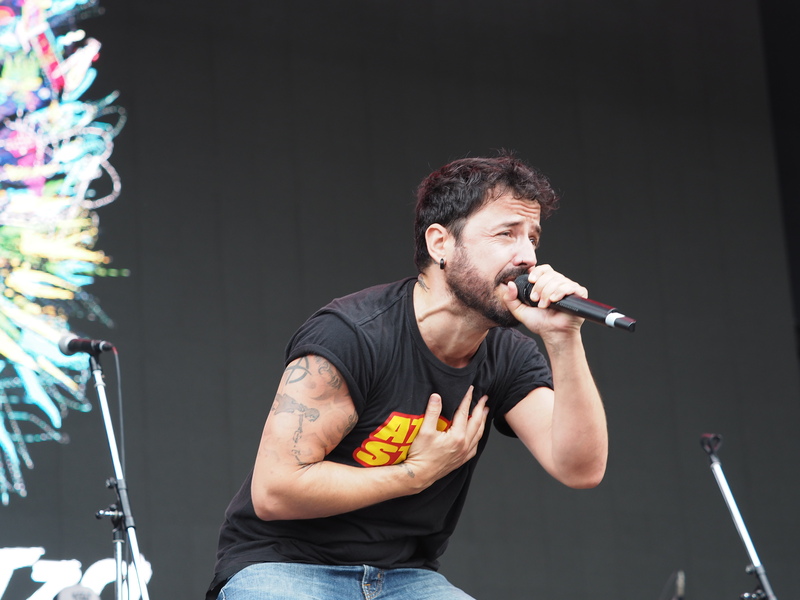 Pretty good for a band from Basque country.